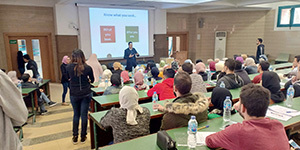 The faculty of Arts and Design organized a workshop for “Waxes preparing as theatre supplements” on Tuesday 26/03/2019 from 1:30 pm to 2:3o pm. 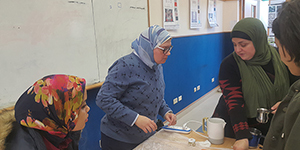 Dr. Ragya Adel- the teacher at design department explained during the workshop that the usage of paraffine wax, its components, advantages and health and cosmetic benefits. 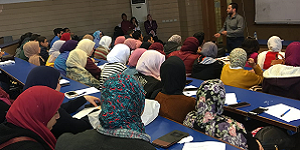 The faculty of Pharmacy and Drug Manufacturing organized a visit to Dar Al Hadaya intergenerational care home on Tuesday, 18 December 2018. 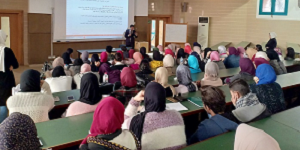 This was held from 12.30 to 2.30 pm. 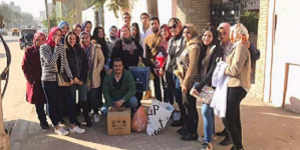 About 25 students, along with academic staff members distributed gifts and clothes among the elderly and children who resided in the care home. 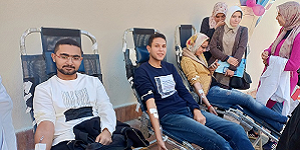 The faculty of Pharmacy and Drug Manufacturing, in collaboration with Kom El Dikka Blood Bank, organized a blood donation campaign on Tuesday, 18 December 2018. 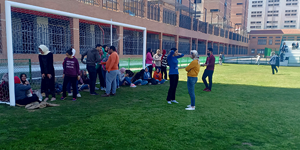 This was held at the CIB Bank courtyard from 10 am to 3 pm. 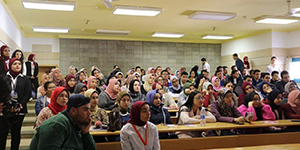 About 25 students who are affiliated with the Students’ Union managed the coordination of the campaign….